My long time blogging buddy, and Middle Earth expert, Bill Baugher wrote this great review today on Facebook. I went to see the new Hobbit movie last night. I was going to wait to see the movie on my birthday or Christmas but I couldn't resist the temptation to see the movie on the opening day. I rationalized seeing the movie last night by reminding myself that I generally go see these movies multiple times...I wouldn't say I was disappointed but this film is my least favorite film, by far, of the entire LOTR and Hobbit series. I'm not disappointed because I do appreciate and understand the Herculean efforts by the director Peter Jackson and all involved to bring these books to the big screen...and...I do realize how difficult, maybe impossible it is to follow up on Jackson's masterpiece, The Lord of the Rings....I don't think my disappointment is due to unrealistic expectations but rather I found the script/plot really weak. From what I understand Jackson was working with material that had gone unpublished by Tolkien so I suspect the unpublished material was unedited, thus, Jackson probably had to wing it and I think it showed... The film is dominated by CGI special effects with one fighting scene after another which bored me in the end. If you are a Lord of the Rings fan/geek you will probably appreciate one last victory lap by the cast of Bilbo, Legolas, Gandalf, Galandriel, and others but if you are a film critic type who isn't wowed by special effects you will probably be bored out of your mind. It grieves me to say such things but in the end a hobbit must be true to himself and I'm sure Peter Jackson and Bilbo would agree! PS, despite my lack of enthusiasm for this film I did really like the way the film ended and I'll always cherish many great moments and experiences from this series of films and for that I am grateful at the end of the day. Catch my mini-reviews by selecting the Movies link in the menu bar above. 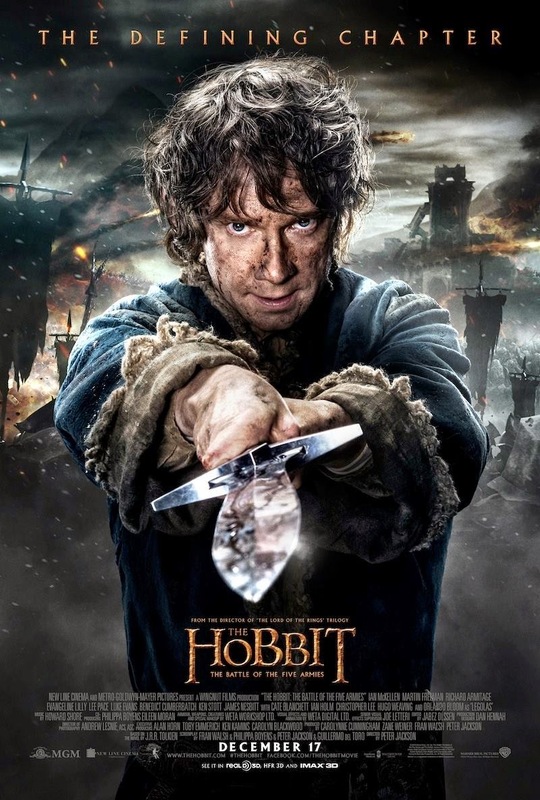 We haven't been following the Hobbit movies however I do like Martin Freeman as an actor. Thanks Debby. Martin Freeman was great in the Fargo miniseries.